Marianne Faithfull is one of British music’s great survivors – in fact, probably the greatest. In 1964, at the age of seventeen, she was discovered by The Rolling Stones manager Andrew Loog Oldham and released her debut single, the Jagger/Richards composition “As Tears Go By” which became an instant top-ten hit. After a decade, at the center of the vortex of the Swinging Sixties, she fell into a long spiral of drug addiction and tragedy before making a miraculous comeback in 1979 with the seminal album Broken English. September this year saw the release of her twentieth studio recording, Give My Love to London, featuring an impressive array of collaborators: producers Rob Ellis, Dimitri Tikovoi and Flood as well as musicians Adrian Utley (Portishead), Brian Eno, Ed Harcourt, and Warren Ellis and Jim Sclavunos (The Bad Seeds). 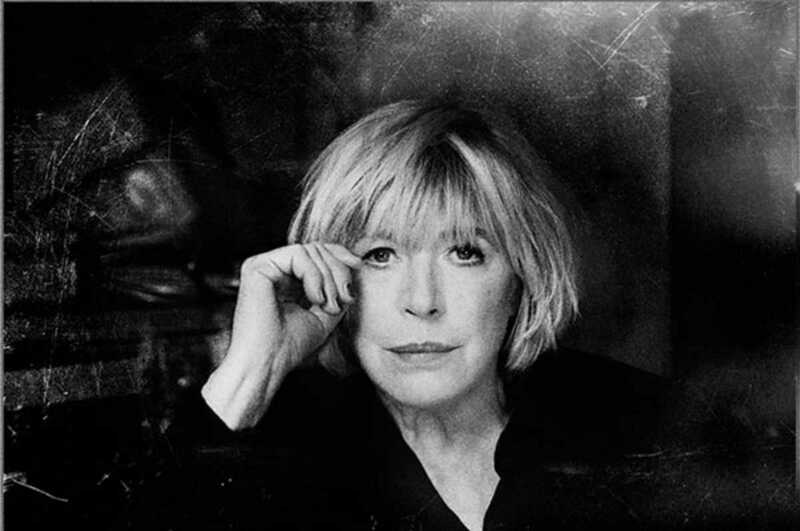 The album follows an accident that Faithfull suffered in 2013 in which she fractured her sacrum; she spent six months in recovery in Paris with little else to do but write songs. She worked on many of these with old friends like Nick Cave, Pink Floyd’s Roger Waters, Steve Earle and relative newcomer, singer-guitarist Anna Calvi. Faithfull is also the subject of a new photobook Marianne Faithfull: A Life on Record, with images of the singer captured by legendary photographers such as Helmut Newton, Cecil Beaton and Robert Mapplethorpe. This year, to celebrate five decades of her music career, she has embarked on the 50th Anniversary World Tour. Those who witnessed her last show in Barcelona at Primavera Sound in 2012 will testify that she is a spellbinding performer not to be missed – bold and uncompromising, with a style that is uniquely her own.